School is a very important part of a child’s life; indeed they will spend most of their waking hours at school during term time. 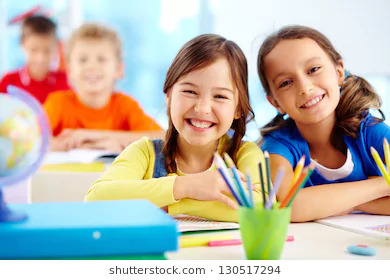 The influence of school is also a key-stone in the foundation of their future adult life and therefore it is important that children stay healthy and happy at school. In this article, I will discuss ways in which homeopathy can help children to stay that way. Homeopathy is a natural form of medicine based on the principle of “like cures like” and that has been in use for over two centuries. Homeopathic medicines are non-addictive and have no dangerous side effects. some of the physical issues experienced at school. the very important emotional issues that a child can be faced with at school. some of the mental issues that homeopathy can help with. Every parent will experience at some point (if not most days!) a child coming back home with a grazed knee, bruises or a head injury. In addition to the first aid administered by the school, homeopathy can help the child recover quickly. This is the most widely recognised homeopathic remedy in the world and comes from an alpine flower also known as “wolf’s bane”. It is very effective for any kind of shock and bruising and can be used in conjunction with other remedies. It can also be used in cases of bleeding, whether external or internal as well as for head injuries or tired muscles after intense physical exercise. Arnica can also be used as a cream or gel to be applied onto bumps or massaged into tired limbs. This remedy comes from the Marigold flower and promotes healthy and rapid healing. It can be used internally as a homeopathic remedy or externally as a cream, ointment or tincture. It is particularly useful when there is excessive pain, and also when the pain or wound is worse in damp weather and better for rest. Anyone can get head lice regardless of how often they wash or how short their hair is. It can also become a little debilitating as the scalp can feel terribly itchy. Several remedies and natural substances can help here but I will only mention the remedy Staphysagria. This remedy, which has many other uses, can have very dramatic results in ridding lice from your child’s head. After taking one or two doses of this remedy, the lice will suddenly find that the warmth of the scalp is not appealing and will move away. My son has benefited from this remedy for headlice, and has remained free from them despite several bouts in his class. It is also worth noting that olive oil is also powerful at killing the lice if massaged onto the hair and left overnight. Tea tree oil has repellent qualities and could be sprayed onto the hair every morning before school. Headaches can be the result of many variables. The child may be dehydrated, hungry, worried about a test or tired after a day of hard work to name but a few reasons. Here are a couple of remedies well indicated in school children’s headaches. This remedy works best for children who get the onset of a headache at around 4pm, as a result of fatigue of the day or over-study. The children’s complaints are better for a warm and dry atmosphere and for lying down. This remedy also has an affinity to the bones and is used to help broken bones heal or at times of growth spurt to support bone growth and help with growing pains. The headache usually starts at the back of the head and extends to the forehead. It tends to come from mental exertion, but can also be brought on by cold air or a draught. The children who will benefit the most from this remedy are easily exhausted and tend to be shy yet stubborn. They are very sensitive and delicate. The children needing this remedy have recurring colds with a yellowish-green discharge. Often ear infections follow the cold, and they are better for a cold compress. The symptoms are changeable but the child will often be thirstless and feel better for fresh air. This remedy is one of the most used remedies in children. It has many uses and here it is indicated for recurrent otitis media. The children are susceptible to colds and develop catarrh and their illness lingers for a long time; this may be accompanied by a sore throat. They are also prone to swollen glands such as tonsils and their lymph nodes can feel hard or be painful. This is another remedy frequently used when the immune system is depleted. There are recurrent colds and respiratory complaints mainly but also otitis media, tonsillitis, adenoiditis. The child feels chilly yet needs fresh air; he is thin despite a good appetite. He tends to be restless and irritable. There is also a great exhaustion. Leaving your child for the first day can be an emotional experience as a parent. Seeing your child cry because they want to stay with you becomes distressing. In other instances the child is happy to go to school until a sibling is born and he/she becomes jealous and wants to stay home too. Or perhaps their best friend had to move school and they feel abandoned. Pulsatilla is a great remedy for separation anxiety or this feeling of being forsaken. It works as a “link breaker” and often a daily dose for a few days is enough for the child to be happy again. Some children dread exams and tests. Their anxiety may come several days before the examination or the night before preventing them from sleeping. Sometimes reassurance is enough to comfort them, but a homeopathic remedy can help. It is one of the best remedies for anticipatory fears before an exam. Those needing this remedy will be almost paralysed with fear, they may also experience diarrhoea, loss of appetite and be thirstless. The characteristic symptom of this remedy is the inability to think or fix the mind. It improves concentration and strengthens a weak mind. The child may also be thirstless and have the inability to digest milk. The Calc Carb child has many anxieties and is averse to change. A change in teacher or moving to a different class is going to affect him profoundly. This aversion to change is mainly brought on by a lack of self-confidence: he is timid and unsure and prefers to be in the familiar environment of home. He is slow at school despite working hard, and is slow at games thus worsening his lack of confidence. He doesn’t like being observed by others so would particularly dislike taking part in plays or shows. He has many fears (of the dark, being alone, heights, ghosts, etc) and is prone to nightmares. Sadly too often children are abused or bullied in school. This may be because they are different from others or simply because they cannot stand up for themselves. Homeopathy can help these children recover from those times of abuse as well and being more resilient emotionally. This is one of the main remedies to think of when a child has been abused; this can be punishment, sexual abuse or violence. The child is very sensitive, sympathetic and has a strong sense of duty. He is often a good child but can have fits of anger. He struggles to go to sleep at night. Alongside Carcinosin, Staphysagria is the other main remedy for any kind of abuse. Their ailments following abuse are often accompanied by indignation. These tend to be headaches, stomach pain or cystitis. They may suffer in silence and suppress their emotions but they can also become violent tempered. They find it hard to tolerate criticism. The children needing this remedy are slow in development, whether physically, emotionally or mentally. They fear what others will think of them and fear ridicule. They are very shy and do not like new situations and for those reasons they are unable to interact with others and tend to stay in their own world. This may have emerged after many illnesses and for this, Baryta Carb is also a good remedy for a weak immune system. This remedy is well known for its affinity to the female organs – it is indeed more frequently prescribed in adults but can be a great remedy for children too when well indicated. The Sepia child is disinterested in everything and gives the impression of being tired all the time. He is negative and appears depressed; he doesn’t like to engage in work or play. He prefers to be alone and does not confide in his parents. In addition he finds it difficult to concentrate at school and remember facts. The only thing that makes him better is dancing or more generally sports. The child needing Lycopodium loves to be in command, he is authoritarian and may end up bullying his peers to be obeyed. When not obeyed this child will shout and become irritable. He can kick or bite other children too. Yet this love of power comes from deeper insecurity and fears which they try to hide – fear of being ridiculed, fear of failing in public, fear of the unknown. Their authority is often addressed towards younger children. The Anacardium child is rude, defiant, swears and is violent. He can be cruel and does not believe in love. He also struggles to make decisions and has an inferiority complex. He tends to eat a lot as this improves his complaints. Chamomilla is a well-known remedy for teething pain but it can be used in many other circumstances. The key note of this remedy is the sensitivity to pain with irritability and anger. This can be expressed by screams, tantrums, hitting or biting other children for example. The child is restless and cannot be satisfied. He is prone to otitis, particularly after exposure to cold and his complaints are aggravated by wind. The children needing this remedy can be precocious: they are clever but their mood is changeable and they get restless easily. There is another side to this remedy where children have poor memory and difficulties with school work, particularly maths. They also make mistakes when speaking or with spelling. These children are often in a hurry and want to do everything fast, leading to a lack of coherence and no coordination. Other symptoms characteristic of this remedy are: they have frequent nightmares, salivate at night and have a foul-smelling sweat. Tuberculinum is often prescribed for children who cannot sit still, they easily get bored and this turns into restlessness. They need change constantly and are dissatisfied easily. Those children are defiant and can be destructive. Some of the key notes of this remedy are: desire for smoked food, and or cold milk, need of fresh air, teeth grinding at night and the complaints are worse for damp. This remedy is appropriate for children who are hyperactive and have the inability to concentrate. They may also have a violent behaviour and learning disabilities but tend to be good at maths or science. This remedy can be differentiated from other remedies by other general symptoms featuring in the picture of the remedy: the children are prone to constipation and colic, they have a pale complexion and their complaints are better for hard pressure and are worse in open air. Whilst many problems may be incurred at school, they can often be overcome easily. Homeopathy is one natural way to help throughout childhood into adulthood. Some of these remedies can be self-prescribed, particularly in the case of first aid situations, and there are numerous books that can help parents find the right remedy. The key point to remember is that each child is unique and the treatment plan will equally be unique to him or her.